You are at: Home » Company » Huaian Depon Chemical Co., Ltd.
Huaian Depon Chemical Co., Ltd. is a historical and cultural city which has more than 2000 years' accumulation, it is also the hometown of our great premier Zhou Enlai; in addition, it is a place collected with many cultural and historical monuments, so it is renowned both in home and abroad for outstanding talents and inspired location from the ancient times. 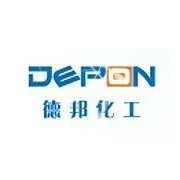 Huaian Depon Chemical Co., Ltd. is located in Chemical Industrial Park, Lianshui County, Huai'an City and it is easy of access. It is closely next to Jinghu Expressway and Ninglian Expressway passes through the whole county of LIanshui County. Founded in 1998, Huaian Depon Chemical Co., Ltd. is a technology development enterprise who is expert in the research and production of organic intermediates. At present, the company owns 100 employees, 30% of which are technicians. The company has more than 20 sets of equipment including: chlorination, alkylation, acylation, nitration, bromination, vacuum distillation etc., and the factory occupies an area of nearly 20 thousand sqm. The company also has high efficient and perfect management system and precise and accurate quality inspection system. The company is the leading manufacturer of high quality anisole in China and the annual output is 3000t. This product is mainly applied in areas of pharmaceuticals, spices and organic synthesis etc. We also produce high quality hydroquinone dimethyl, veratrole, 1, 3-dimethoxy bengene, 4-methylanisole, 2-methylanisole and 3-methylanisole etc. Our company has the high quality trichloroacetyl chloride manufacturing device with the annual output 3000t, and it is applied in the manufacture of efficiency and low toxicity pesticides and pesticide safety agent. We keep close cooperation relationship with many famous pesticide manufacturing enterprise in China. For years, we have developed new variety organic intermediates and the annual output of N, N-Diethylethylenediamine and unsym-Dimethylethylenediamine is 50t. At present, the company is establishing the (Chloromethyl)-methyl-dichlorosilane production device with the annual output of 1000t. To rich by morality and to flourish by technology is the development philosophy of the company. Welcome the customers from home and abroad to contact us and to create bright future together. Huaian Depon Chemical Co., Ltd.
Industryhydroquinone dimethyl, veratrole, 1, 3-dimethoxy bengene, 4-methylanisole, 2-methylanisole and 3-methylanisole etc.